Venetian cuisine is very diverse and has three main environments, consisting of a coastal area rich in fish and seafood, a hilly inland territory ideal for wineries and farming, and an agricultural mountainside. Rice is cultivated in the plains and corn all over the region. Risotto and polenta are staples and represent the basis of Venetian cuisine. Spices and herbs, cinnamon, cloves, raisins, and pomegranate are commonly used in Venetian dishes and represent the heritage of centuries of close exchange with the East. Venetian cooking, as well as all Italian food at large, combines simple ingredients and sauces to form complex flavors. Venice should be visited at least once in a lifetime. 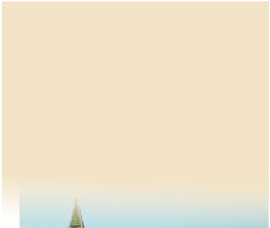 It is a unique city, melancholic at times, built not only of stones, it is said, but also of water and sky. The people have a special love for the pleasures of the table. 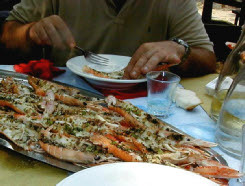 A large dish of freshly cached “Scampi,” also known as Langoustine or Norway Lobster, is served “Al Fresco” on a summer day in a small trattoria in Venice. They are grilled and dressed with extra-virgin olive oil and fresh herbs, complemented by a glass of fresh Prosecco wine. 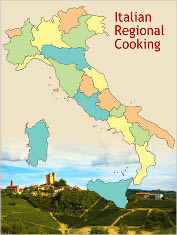 Recipes from the Veneto region are simple, rich with fresh ingredients and vegetables grown in the area, and strictly seasonal. Each town has its own traditional dishes, too many to mention. Traditional recipes include Sarde in Saor (sardines in a sweet and sour sauce) and Risi e Bisi (rice and pea soup) of Venice, Baccala’ alla Vicentina (salted cod fish) in Vicenza, Zuppa Scaligera in Verona, and dishes based on radicchio in Treviso. In addition, the Veneto is rich in excellent wines such as Valpolicella, Amarone, Soave, sweet Recioto, sparkling Prosecco, as well as the strong Grappa liquor. The small streets of Venice are full of little restaurants. Venice was the crossroads between Europe and the East. It was in Venice that visitors from all over the Mediterranean met to trade. The rich, spicy Venetian cuisine became popular. Venetians enjoyed great wealth for three centuries. While the wealthy in other lands built strongholds, wealthy Venetians built lavish country vacation villas from the Renaissance to the Baroque period. The best musicians, artists, painters, and writers were attracted to the city, and dining was luxurious. The Veneto countryside could provide fresh meat, fish, vegetables, and wine, and the markets were full of spices and exotic foods. Before dinner, Venetians love to “andar per ombre” (go for the shadows), that is, spend some time walking around, stop along the way at the small osterias, and have an “ombra,” a shadow of wine. 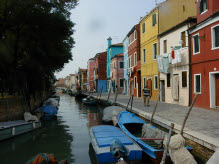 Colored houses along one of the canals of the island of Burano. The Bucintoro at the Molo on Ascension Day. 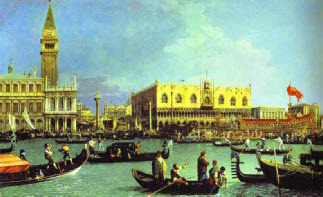 Canaletto, c. 1732. The Marriage of the Sea (Sposalizio del Mare) was a ceremony symbolizing the maritime dominion of Venice. The ceremony, established around 1000 AD, was a solemn procession of boats headed by the Doge's Bucentauro. Prayers were chanted that "for us and all who sail thereon the sea may be calm and quiet.” Every year, the doge dropped a ring into the sea, and with the Latin words “Desponsamus te, mare” (“We wed thee, sea”), declared Venice and the sea to be one forever. The dominion of Venice stretched as far as Greece and Cyprus, as well as along the whole Adriatic coast. The Venetian Republic, known as the “Serenissima” (“the most serene”) became the greatest commercial power of the medieval times and through the Renaissance period. Byzantine influence is evident in the city’s rich architecture, and the spice trade left its mark on Venetian cuisine, which has a rich, eastern flavor. At the beginning of the sixteenth century, Venetian power started to decline due to the rise of the Ottoman Empire in the East, the increased importance of Dutch and British trade, and the decline in the demand for spices. In 1797, Venice lost its independence when the city was occupied by Napoleon. Later, Venice and the Veneto region, as well as a large part of Northern Italy, were annexed by the Austrian Empire. In 1866, Venice finally became part of the Kingdom of Italy. 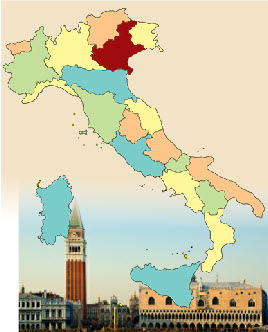 The Veneto takes its name from the “Veneti,” the people inhabiting this region in pre-roman times. 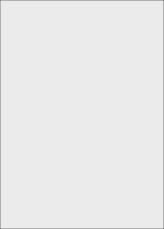 Famous for their skills in horse breeding, they were later conquered by the Romans, and the area became part of the Roman Empire. With the fall of the empire, the people populating northeastern Italy found themselves in the main path of the barbarian invaders. They ran away partly hiding in the lagoon at the northern end of the Adriatic Sea, and the city of Venice was founded around 500 AD . 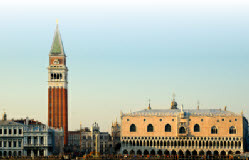 Through the centuries, the new city grew into the Venetian Republic. Venice became the greatest maritime power of the Mediterranean and developed important settlements in the region. In 1380, Venice defeated Genoa, its main rival, and assured for itself hegemony in Mediterranean trade. The richness of Venice was mainly due to its monopoly on commerce between the Eastern Mediterranean and western Europe in exotic goods, spices, and grains.